Our Ultra MCTAM's are turn around cables made to change the gender of your snake or any other cable. These turnarounds are male to male. The cable section between the plugs reduces stress on your cables and input jacks on your mixer or other devices extending the service lift of your equipment. 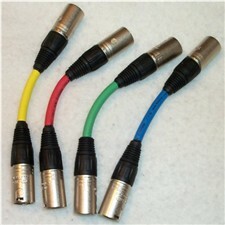 They are made with Canare 2T2S mic cable.